Come see us at this weekend's October MCM London Comic Con 2017 and check out our awesome pop-up store! You can drop by to say “Hi!”, check out our treasure trove of goodies, and of course, buy, sell & exchange to your heart's content. Check out our photo competition of fans and cosplay aficionados who've visited our store and vote for your favourites from Monday onwards. The top 3 will win a £250, £150 or £50 voucher (voting ends 12th November)! 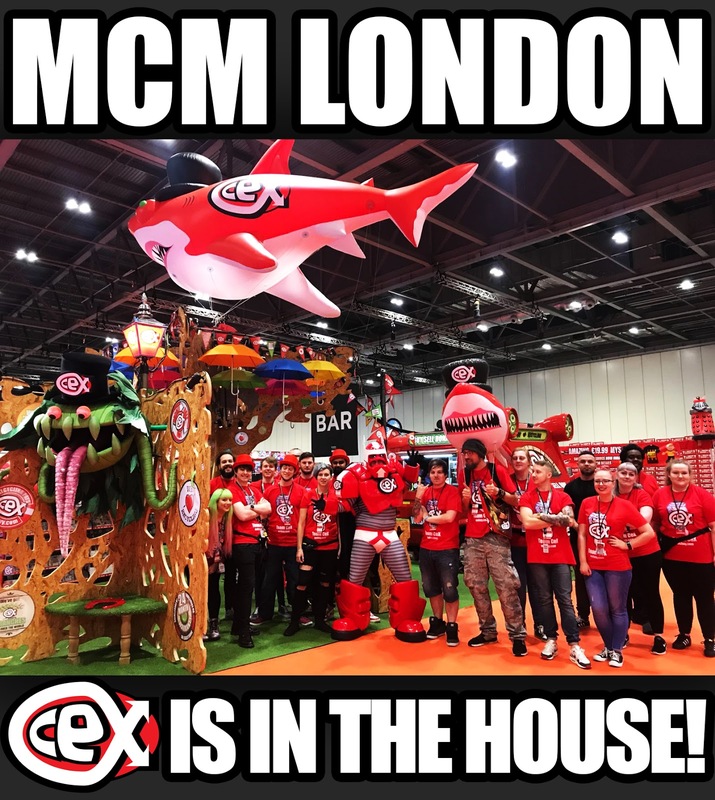 If you're feeling adventurous, you can track down our Recycler (AKA The CeX Man), snap a superhero selfie using our CeXy filter at webuy.com/findthecexman and tag it with #findthecexman on Twitter, Facebook or Instagram to be in with a chance to win some sweet CeX vouchers. What are you waiting for? Come down and party!